If I could describe these Greek Meatballs in two words, it would be “absolutely amazing.” The flavor profile is truly on point. Everything about these meatballs is so so good. You’ll love them! One of my favorite cuisines is Mediterranean. 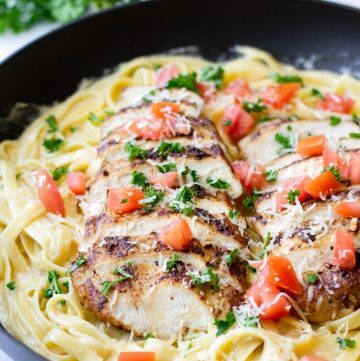 I love the flavors, the ingredients, and all the garlic! Everything about it is just so good. 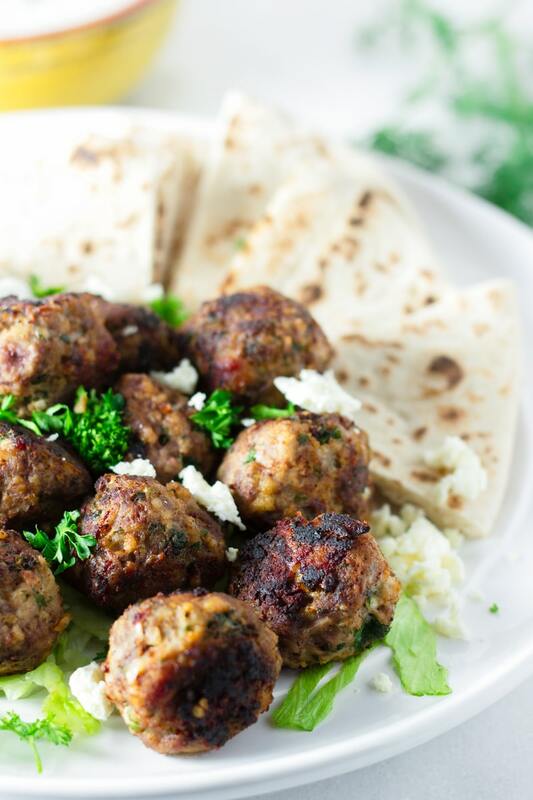 The other day I made these Greek meatballs and I’ve got to say…they were absolutely delicious. I kept going back for more. I served these with an easy homemade Tzatziki sauce, and oh gosh…my taste buds exploded with happiness. 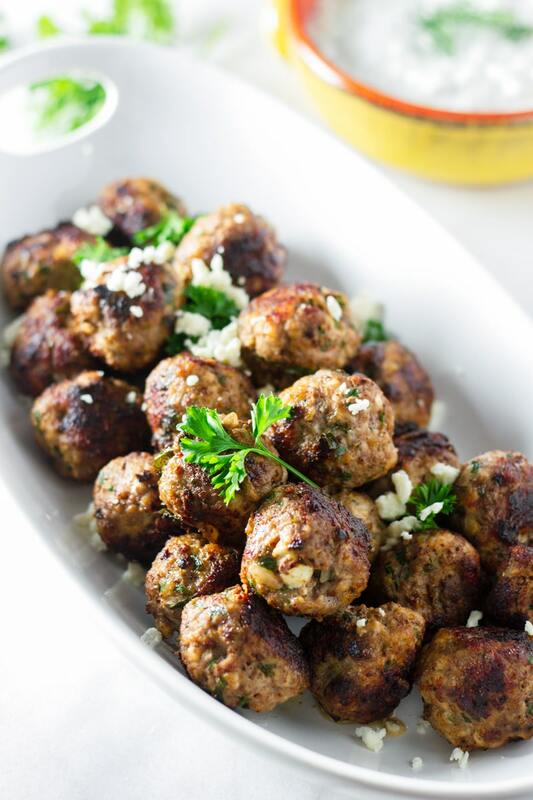 These delicious Greek meatballs are packed with herbs, spices, feta, and garlic, which in my opinion, are the best combination ever. 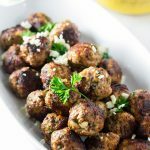 I made gyros with these meatballs, and they were absolutely yummy. The best meal ever! 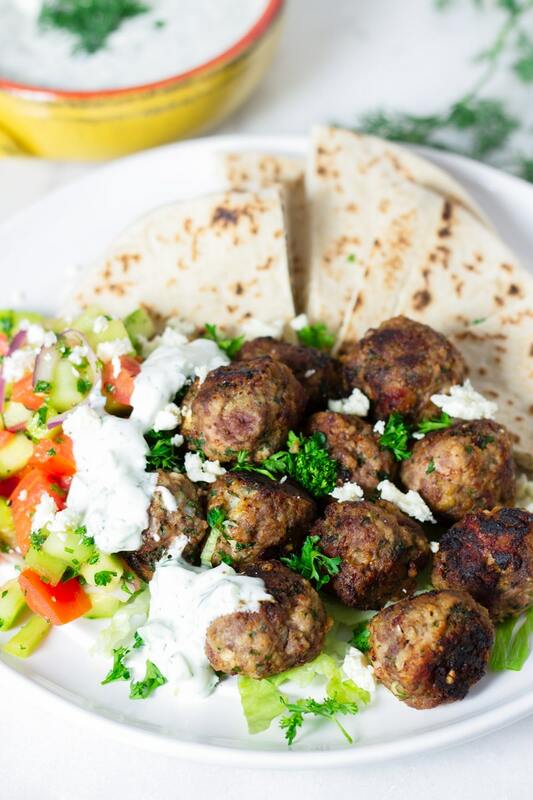 Greek meatballs, also known as Keftedes, are a popular appetizer dish and served as part of a mezze platter. 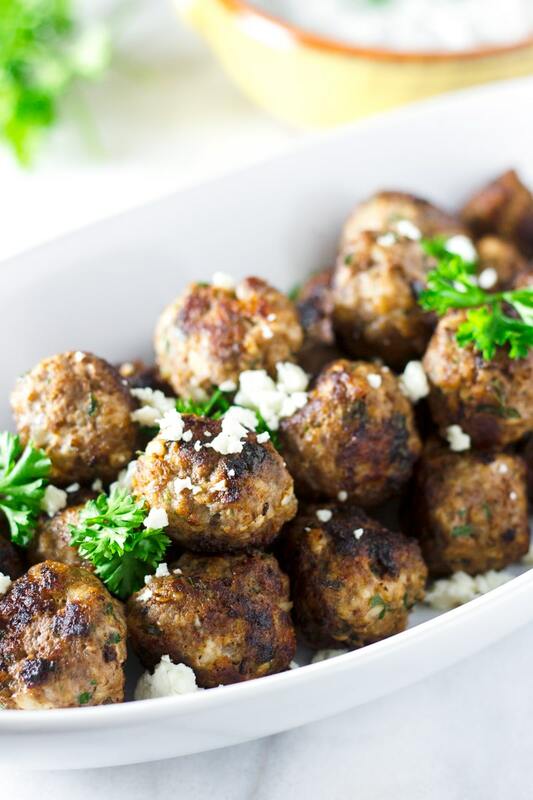 For extra deliciousness, I added crumbled feta cheese in these meatballs. Incorporating feta cheese adds an extra depth of flavor that makes all the difference! What’s in These Greek Meatballs? 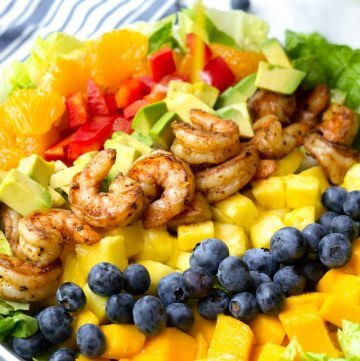 Now, imagine all these ingredients in one bite…heavenly, right? Yes!! Making these meatballs is really easy! All you have to do is combine the ingredients in a large bowl until fully incorporated, shape into 1 to 1 ¼ inch balls, and cook them! So let’s get started. In a large bowl, combine all meatball ingredients and mix with your hands until fully incorporated. Do not overmix though. Overmixing will lead to tough meatballs. Form the meatballs, each about 1 tablespoon or about 1 to 1 ¼ inches. If you make them too big, they will brown (and probably burn) faster than they are fully cooked inside. Makes about 30-32 meatballs. In a large skillet (or 2 skillets) on medium heat, cook the meatballs on all sides until browned and fully cooked inside, about 15 minutes. Do not overcrowd the pan. If they are browning too quick, lower heat to medium-low. Tip: half cover the skillet with a lid to ensure quicker and thorough cooking in the center. Serve on a platter with Tzatziki sauce and pita bread. 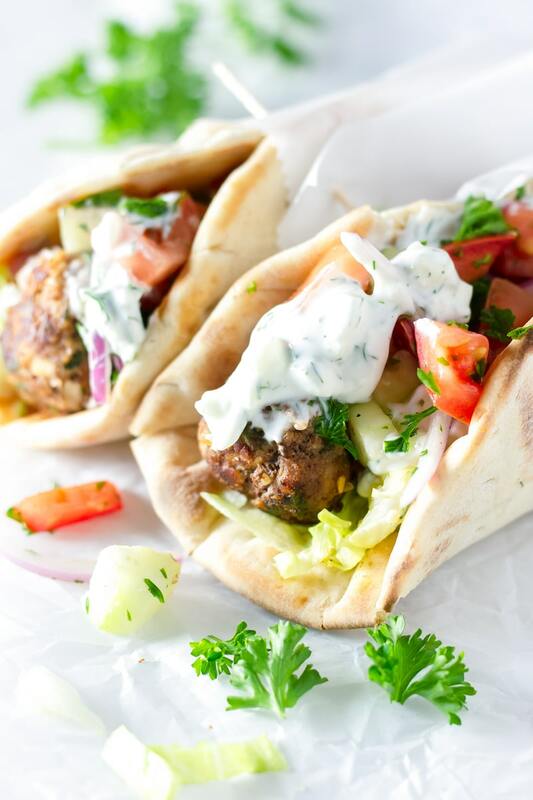 Or make Greek meatball gyros! Use 25% fat ground beef for best results. Finely dice all the ingredients, especially the onion, garlic, and herbs. You certainly don’t want large chunks of onion on a meatball. These ingredients are meant to “disappear” in the meatballs, while providing flavor. Don’t overmix! You’ll get a tough meatballs if you do. Don’t roll the meatballs too tightly. Roll them until they hold their shape. Browning at the right temperature is key: watch the meatballs carefully when browning and use medium heat. 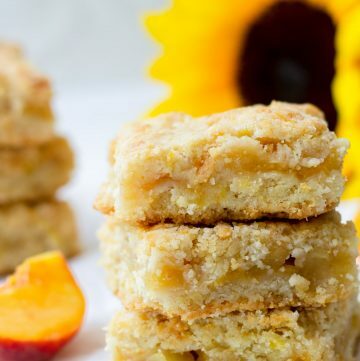 You don’t want them to brown too quickly, otherwise the center will not be fully cooked. If they are browning a lot too quickly, reduce to medium low heat and keep turning them. If they have already browned too much but the center is still undercooked, throw them in the oven at 375 degrees F until cooked inside. Don’t overmix the meatball mixture. Form 1 to 1 1/4 inch meatballs (1 tablespoon). This way, you’ll ensure even and beautiful browning on the outside, while ensuring that the inside is fully cooked too. If the meatballs have browned too fast, finish the cooking process in the oven at 375 degrees F. Check every 5-10 minutes. The best Greek meatballs ever! These Greek meatballs are packed with herb, spices, garlic, and feta. 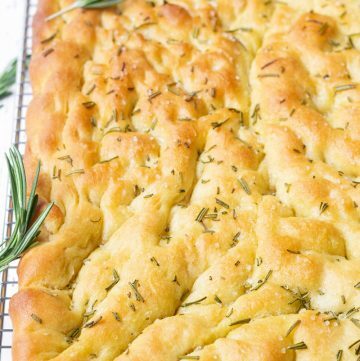 So delicious and perfect for appetizers or main course! In a large bowl, combine all the Meatball Mixture ingredients. 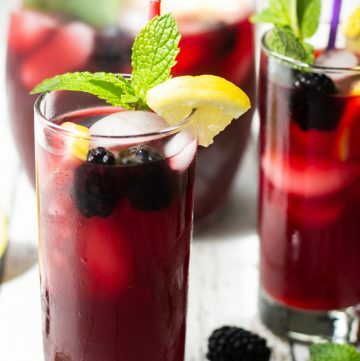 Using your hands, mix all ingredients until fully incorporated. Do not overmix. Form the meat mixture into balls. Each ball should be about 1 tablespoon. Place prepared meatballs on a sheet pan or large plates. In 2 large non-stick skillets, heat some olive oil to medium heat (or use one large skillet and cook the meatballs in batches). Add the meatballs to the skillets. Do not overcrowd the pan, otherwise the meatballs will not brown. Cook the meatballs for about 10-15 minutes, turning occasionally until all sides are browned and meatballs are fully cooked inside. After turning each side, half-cover the skillets with the lid (leaving a small part uncovered) so that the center gets fully cooked quicker. If browning too quickly, reduce heat to medium-low. Remove onto a large plate and serve.